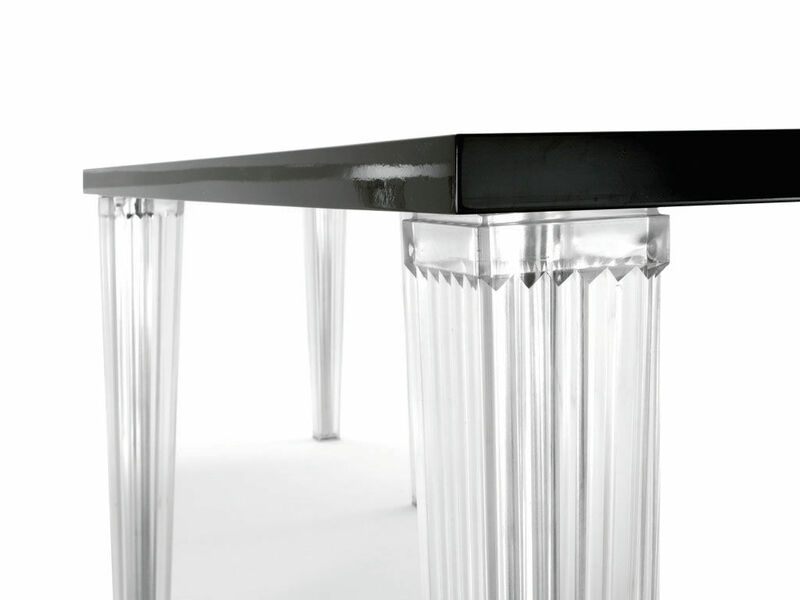 New version of the famous Top Top table by Starck (L 130 cm x W 130 cm) : with a luxuous glass top (black or white). So chic ! Original, Top Top mixes opaque surface with translucid feet. 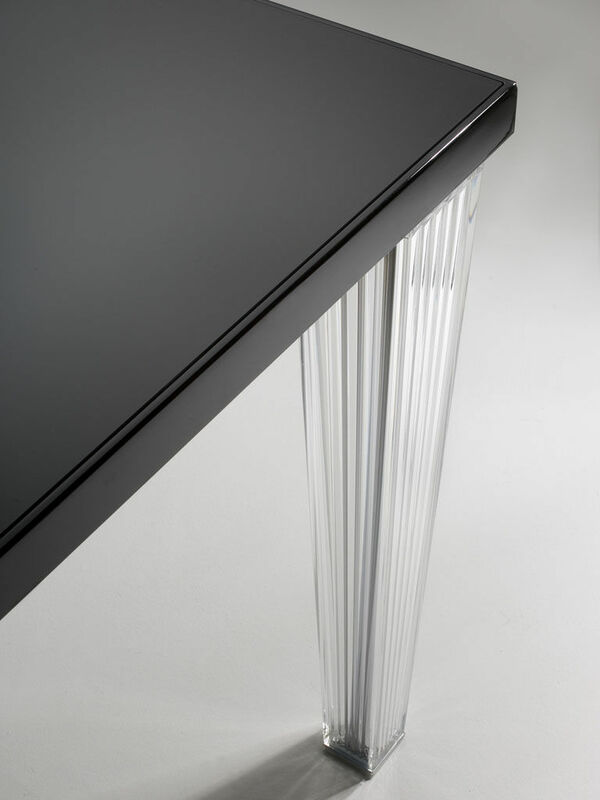 The line is minimalist, simple and essential. Many combinations and dimensions are available. 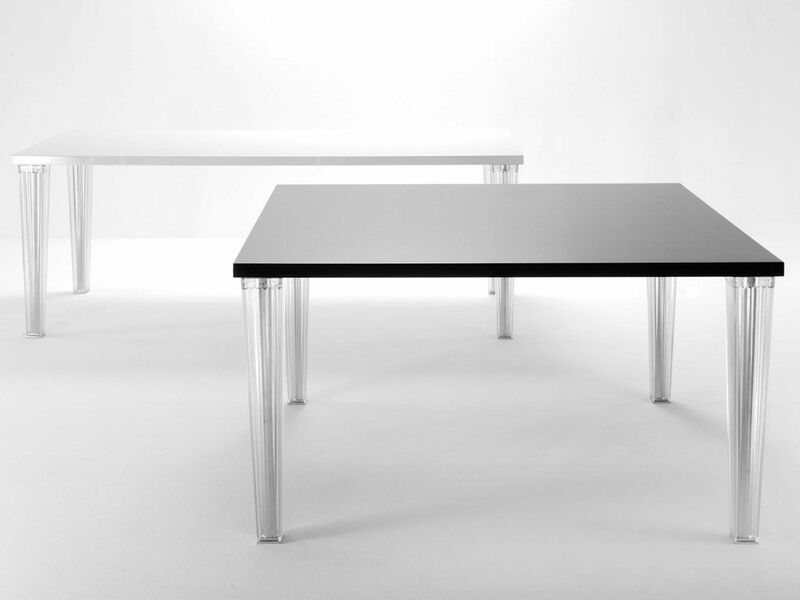 The range of TopTop tables includes rectangular, square or round tops of various dimensions.